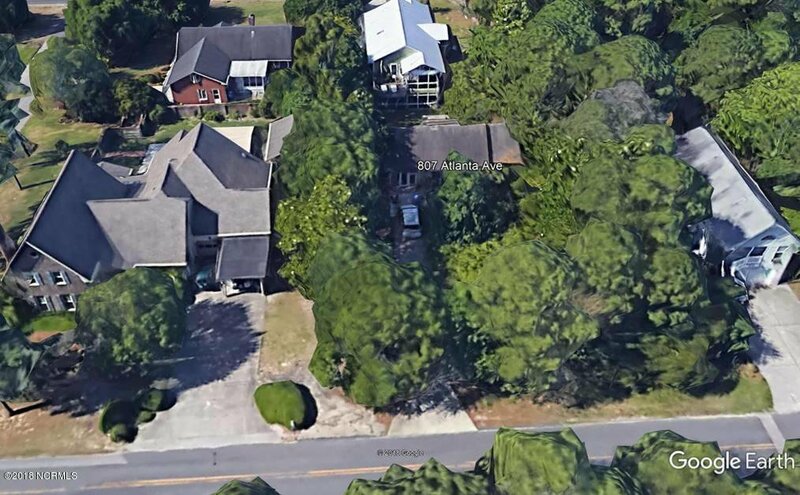 This is a hard to find double lot in the heart of Carolina Beach. This lovely treed lot is 100 x 125 (can not be split). Nice area of the beach. New construction homes in the area. One block to Mike Chappell Park. This lot is easy on and off the island during the hectic summer seasons - right off of Dow Road so you can by pass the congested downtown area of Lake Park Blvd. The lot has a wooden privacy fence all the way around it. Definite plus! There is a structure on the property. It was permitted as a garage apartment in 1994 per town zoning (Jeremy Hardison). There is a HVAC and full bath with walk-in fiberglass shower. Bedroom has washer and dryer. Kitchen has wall oven and microwave but the sink is not hooked to sewer. Listing courtesy of Century 21 Sweyer & Associates. Selling Office: Intracoastal Realty Corp.